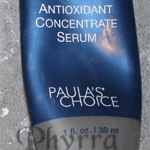 Several months ago I purchased Paula’s Choice RESIST Intensive Wrinkle-Repair Retinol Serum. I wanted to add a serum that would be safe for use on my face and eyes, as well as one that wasn’t likely to irritate my sensitive skin. So I took a risk and tried this one. 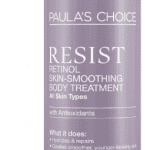 Paula’s Choice RESIST Intensive Wrinkle-Repair Retinol Serum is an exclusive formula that utilizes a proprietary blend of highly stabilized retinol, potent antioxidants, and skin-repairing ingredients. Its soothing, silky texture goes to work immediately to help skin of any age look and act younger. With ongoing use, you will see fewer wrinkles, smoother skin, and improved skin tone. Helps fade red marks from past breakouts. 100% guarantee 60 day return policy / 2-5 Day Delivery in U.S. Targeted systems for wrinkles, acne, rosacea, sensitive skin, oily skin, dry skin and more. From what I can tell, yes! I’ve been using this on and off for several months now (alternating it with other serums) and I feel like my skin looks great. I don’t feel that I have a ton of wrinkles, but I’m basically using this as a preventative product. When I first started using this I used it twice a week. I’ve done it as much as 3 days on, 1 day off. I feel like it has helped my skintone. I do have dark spots that haven’t faded, but I haven’t had any more occur. It hasn’t caused me to break out. Right now, I use this at night. I use it on my face, eyes, hands, neck and décolleté. It’s a great way to prevent the signs of aging. Also, I have to mention the packaging. I LOVE the packaging. 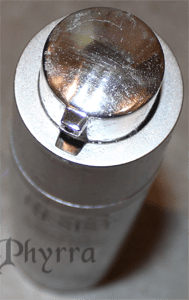 The top twists up and down, allowing the product to basically stay in an airless container, and you can get out the exact amount you want with no waste. It’s not in a jar! I love the fact that it isn’t in a jar and the ingredients are kept in such a way that the retinol is never exposed to light or oxygen, making sure that its efficacy and stability is ensured. To me, this is a big deal. It means I feel like I’m getting my money’s worth. Also, Paula’s Choice has a 100% guarantee 60 day return policy. If you don’t love it, you can return it. I think that’s really cool. Yes! I believe I purchased this during a sale, but even full price it’s a great product. I feel like it lives up to its claims, it’s reasonably priced and it’s a nice product. I will definitely purchase again. With retinol products and sensitive skin, there’s a very fine line between working and irritating your skin, and this product is able to be effective without making mine freak out. I have recommended this product many times in the past few months so I really needed to get this review out there for you. You can purchase Paula’s Choice Products from PaulasChoice.com. 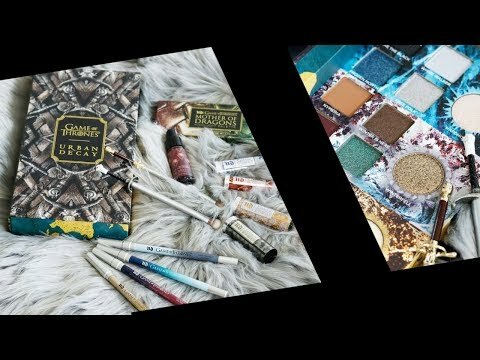 I tried some of PC’s products years ago & wasn’t blown away by them. I’ve been reading reviews of her newer options like the RESIST line & my interest is piqued again. Will be keeping my eyes open for a sale once I’ve finished my current skincare products & try some of this line. lov2read68 I’ve been happy with all the products I’ve tried. I really like the price point, the fact that the products don’t irritate my skin, and as far as I can tell they’re working for me 🙂 Always keep an eye out for a sale! This retinol serum is one of my staple skin care products too! Great product at a great price…. Beauty_tidbits I agree! So great! Wow, you’ve definitely piqued my interest in this brand. As soon as I saw “retinol,” I was like, “Nope!” I’ve tried the lowest available retinoids for acne and my skin FREAKED out…like cracking and painfully dry. This is something to consider now…that’s kind of exciting! misfitgirlie She has samples, too! I’ve never been painfully dry from this. I did experience a bit of peeling at first, but apparently that’s normal? I have this and I’ve used it for several months. It’s become one of my staple skin care products. I just love PC! Great review! steelnpurple You’re welcome 🙂 So glad you love it!